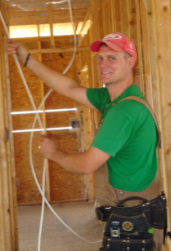 Hello, I'm Nick Kowalko, owner and operator of B Connected Electrical Inc.
During the last 22 years I have enjoyed a well rounded career in the electrical field. From construction work to sophisticated industrial control systems and high voltage distribution, the things I most enjoy about the industry are the endless opportunities to keep on learning. After serving my apprenticeship at construction sites throughout B.C. I received my Inter-Provincial Electrical license in the summer of 1999 through Camosun College continuing my education, I passed the Electrical Contractors Association of Alberta exam to achieve the Alberta Master Electrician status in 2002. Upon returning to the province in 2007, I completed the B.C. Saftey Authority program to obtain my F.S.R. license. 2009 B Connected Electrical was created to offer great service for home and business owners on the North Island. Originally from Victoria, the call of the coast brought my family and I home to Vancouver Island, where I look forward to helping you with your wiring needs on the Beautiful North Island. 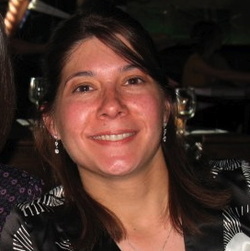 Hi, I'm Deanna Kowalko -Owner and Office Manager, originally from Fernie BC. I have enjoyed becoming part of the Campbell River community, volunteering with various groups, throughout our girls growing up years. I feel privelaged to live where we do and to be able to serve our commumity, which I love to call home.